Even before school starts, young children are learning math through daily routines and activities. They are excited when they recognize numbers in their environment and enjoy simple activities such as counting blocks or toy cars. These activities build a foundation for more complex mathematical concepts in the future. There are many easy ways you can help your four-year-old feel confident and excited about math, including reading counting books together or spotting numbers at the grocery store. Hopscotch is a fun physical activity that helps reinforce number recognition for young children. Hopscotch is a fun physical activity that helps reinforce number recognition for young children. Is the weather not cooperating for a sidewalk chalk version? You can make an indoor hopscotch board using flattened cardboard boxes, an old shower curtain, or a disposable tablecloth! Simply use a permanent marker to make the squares and have your child write the numbers. Your child can then use a small bean bag or stuffed toy to throw onto the board and hop his way through counting. Curious George is growing a flower garden. Your child can practice counting skills by counting flowers with George. Numbers aren't just for counting — they are also for labeling. Numbers aren't just for counting — they are also for labeling. Teach your child the street number on your home. Explain how buildings are numbered on every street and take a walk around your neighborhood, pointing out the numbers on homes, businesses and signs. Practice math skills at mealtime! Practice math skills at mealtime! Ask your child to help set the table by telling her how many forks, plates and napkins she needs to count. Encourage her to count as she places each item on the table (one fork, two forks, three forks . . .). Your child can practice addition and subtraction by helping you create a ladybug with up to 10 spots! In this math and engineering activity, your child can explore how some objects are found naturally and some are people made and how each can be large or small. In this game, your child can help Ruff Ruffman use blocks, wedges, and tubes to build a structure that will allow hamsters to reach the carrot. Your child can learn about facts and opinions in advertisements in this clip. Bianca tries to create an ad to sell a necklace at her yard sale. 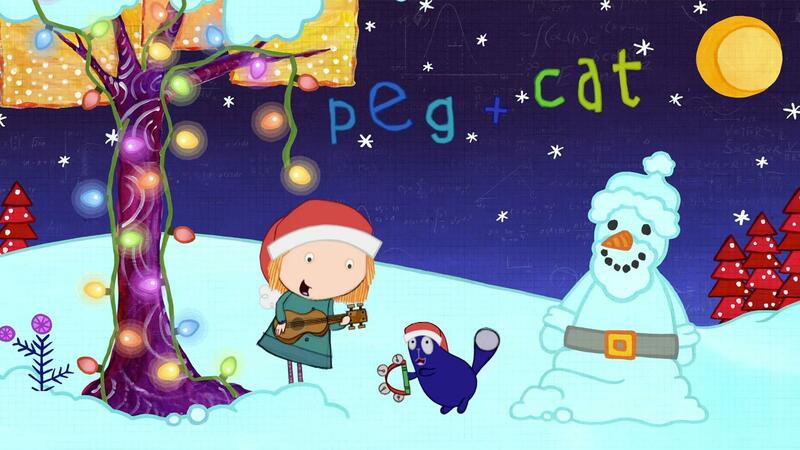 Your child can count along to the number 20 in this Christmas song tune.